Taylor Ikin and Neil Adamson are two of the top watercolor artists of Florida. Taylor with her distinctive painting on Yupo has been recognized internationally as the ‘Queen of Yupo’ and her work has a very abstract flowing colorful style. Neil on the other hand is a signature member of National Watercolor Society and American Watercolor Society, the two top honors you can receive in the field. His realistic works depict birds, boats and landscapes. 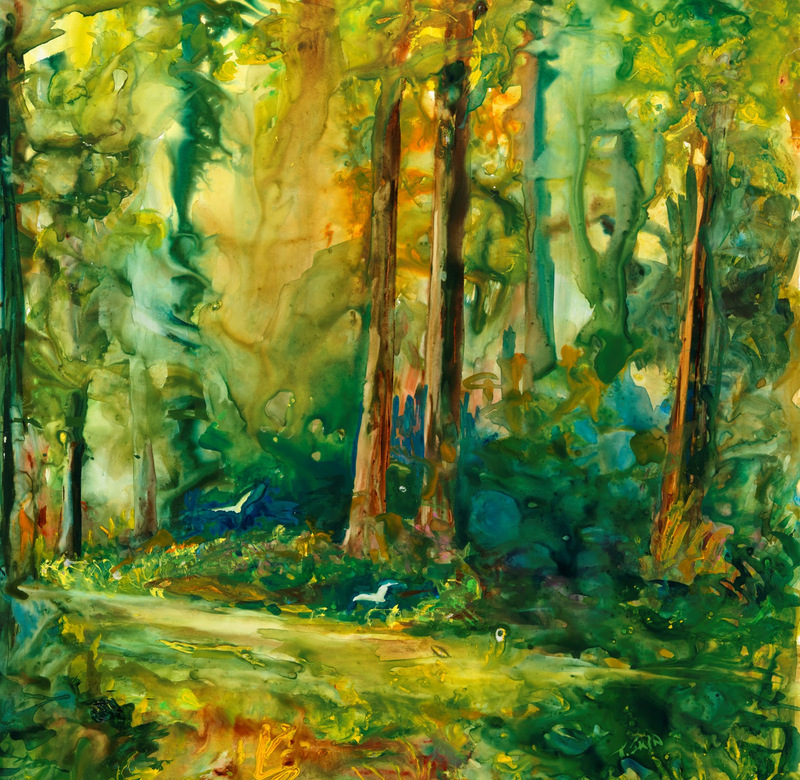 The mixing of two artists in the same medium, but with totally different ways of capturing the beauty of the disappearing Florida wilderness will make this a visually stunning show. Taylor Ikin is widely known for her work on YUPO, a synthetic tree free surface. 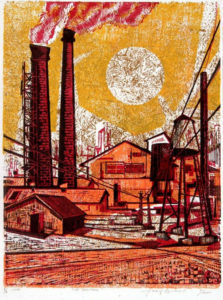 Her environmentally sensitive images have been exhibited in Museums throughout Florida and Virginia, including Florida house in Washington DC. Her unique approach and joy in making art are the frequent topic of articles in Watercolor Artist, The Artist and American Artist Magazines plus many books and the local press, and can be enjoyed through her DVD, Dancing With YUPO. She has taught regionally, nationally, and in the Caribbean as well as 15 years at the Gulf Coast Museum of Art and the Beach Art Center. Ikin now teaches at the Dunedin Fine Arts Center in Dunedin, FL with her Tuesday’s with Taylor and also at the Tampa Realistic Association on Mondays. Ikin has served 2 terms on the Board of the Arts Council of Hillsborough County. She is a Past President, Signature and Life Member of the Florida Watercolor Society having served as President and Board member for a total of 16 years, the Education Committee of the Tampa Museum of Art and the Restoration Committee of the Tampa Theater. She is currently on the Board of the Gasparilla Festival of Arts and the Leepa-Rattner Museum of Art and The Florida Artist Group (FLAG). Her work is collected world-wide, including Australia, the Caribbean, the British Isles, Europe, Canada the Vatican Collection, Rome Italy. Born in Manchester, Connecticut, and a Florida resident since 1950, Neil decided in 1972 to devote his full time to painting the disappearing Florida wilderness and shoreline, although he continues to take occasional painting trips through New England. Neil is the recipient of over 140 awards for his watercolors which include watercolors accepted in the American Watercolor Society’s 108th Annual Show. He was selected for their yearly circuit and again for their 110th Annual Show in New York. In the American Watercolor Society’s 120th Annual Exhibition, he won the Arjomari/Arches Paper Award and his work was picked for the traveling show. Two of the artist’s works were chosen by the St. Petersburg Museum to be part of its Art Embassy Program. These paintings were on loan to the Australian Embassy during 1989-1992. The November-December 1989 issue of Florida Wildlife contained a special write-up on Adamson’s work. He was the first artist to be selected by the Foundation Realty Fund (Raymond James Properties) for the Foundation of Fine Art. He was invited by the Salmangundi Club of New York City to be the Official Artist for the Coast Guard Art Program. Adamson was one of 200 artists in the USA chosen to show in Walt Disney World’s 1975- 1st Annual Art Show at Lake Buena Vista. Since 1970 he has received the Eliot O’Hara Watercolor Award, People’s Choice Award, Governor’s Award, Best of Show Award, Everett Dirkson Award and First Place from the Florida Federation of Artists. The artist has exhibited at National Academy Gallery and the American Watercolor Society, New York; Viola Gallery, Greenwich, Connecticut; Galerie of the Gold Lion, New Orleans, Louisiana and throughout Florida. Adamson is a signature member of the National Watercolor Society, Florida Watercolor Society and an associate member of the American Watercolor society. He was one of seven artists to be invited to show at the Florida State Audubon Society’s Animal Convention at Kissimmee, Florida 1992. He was a nominee for the 1991-1992 Friends of the Arts Award, by the Pinellas County Arts Council, in recognition of outstanding contribution to the growth and development of the arts in Pinellas County. The artist had a painting selected again for the prestigious American Watercolor Society’s 128th annual exhibition in New York City winning the Mary S. Litt Medal. Neil was one of forty artists picked for the Society’s traveling exhibition. This is the fourth time in his career, his work has been selected. Work was also selected for the top 100 traveling 1995 Arts for the Parks national show in Jackson Hole, Wyoming- and again in 2003. His work has been selected for four major watercolor books: Splash l in 1991, Splash ll in 1992, Splash lV in 1996, and Enliven Your Paintings With Light. All published by North Light Books. Neil’s paintings can be found in prominent corporate offices and private collections around the world, including Saudi Arabia, Canada, England, Switzerland, Puerto Rico, Italy, Germany, and Sweden, as well as throughout the United States. This is an important family of artists from Cuba who have had shows in New York, the Dominican Republic, throughout Latin America and Europe. 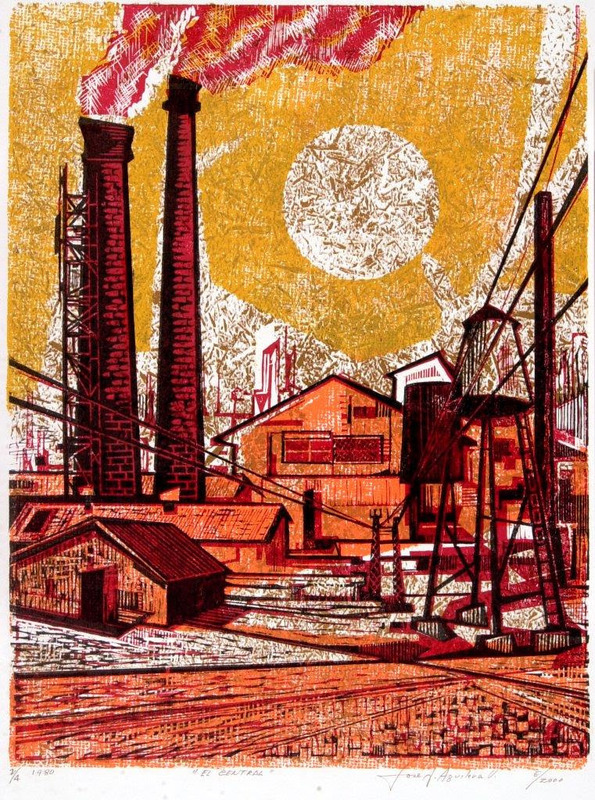 The show is a collection and of original prints and paintings from the studio of his Cuban family. He will share his and the the works of his father the great Cuban artist and teacher Jose Aguilera Vicente. CARLOS RENE has become one of the hot artists in Havana today. He lives in Santiago, the capital of Oriente Cuba. There has been 18 Museums and Art Centers shows around the U.S. in the last 20 years; all with artist from Santiago including Carlos Rene’s father Jose. Articles written about the these Artist and their exibitions have appeared in the Wall Street Journal,Washington Post, Palm Beach Post, Havana Journal,The Providence Journal and the Washington Diplomat. Now with a new generation of Oriente artist Cuba is once again being honored with this amazing exhibition at Bellafonte Art Museum . This will be an exceptional treat for the mind and the eyes right here in Tampa at Nuance Gallery this weekend. 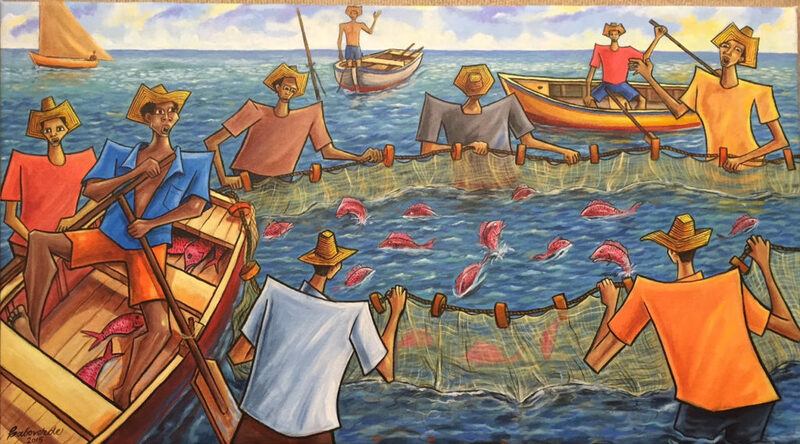 Cuban artists Guillermo Orlando Piedra Labanino, Jeho Rodriguez Saname, and Mildo Matos Carcases who all have a large collectors base in Europe and the Dominican Republic are now represented in the U.S. by Nuance Galleries of Tampa Florida. Jeho was recently in the U.S. as the special honored guest for the Tampa Hispanic Bar Associations for a Spanish scholarship fundraiser. He attended two opening nights of Nuance Galleries “New Cuban Art Show” last month featuring his newest paintings along with many other artist in the book including, Roel Caboverde Llacer and Mildo Matos Carcases. 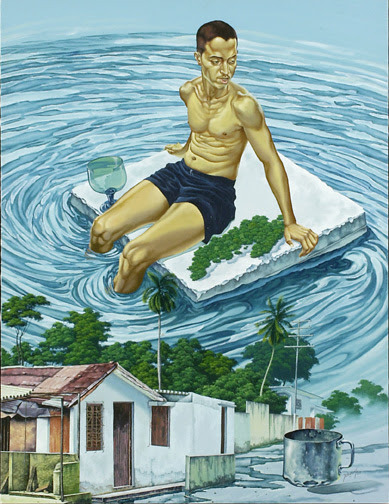 The “New Cuban Art Show” is continuing at Nuance Galleries through the end of August. Nuance represents over 15 Cuban Artist and has almost 300 of their paintings in stock. Please come by and see the show. Hours: Mon – Friday 10am to 5pm Saturday 10am to 4pm or call to set up an appointment for a private viewing. From early childhood Mildo demonstrated a strong interest in a social group that had been gently influenced by the cultural legacy of the Taino people. His academic formation as an artist began in 1984 when he enrolled in a course for art teachers in Guantanamo. He graduated with a degree in art education in 1993. In 1987 he co-founded and became the director of the Tibaracon Group. In this same year, he began a series of paintings in which he incorporated, metaphorically, mathematical games. In 1992, he completed a series using a surrealist expressionist style. By the end of 1994, Mildo entered his contemporary period with initial studies in symbolism. His principal points of reference became the origins of the Cuban and Caribbean Taino peoples with which he creates anthropomorphic and zoomorphic beings, geometric and schematic in form, derived from aboriginal mythology. Reflections by Mildo – Painting is like an addiction. I couldn’t live without painting. Many times my dreams have influenced changes I have made in the form and content of my painting. I also draw inspiration from my studies and my own experimentation. I have passed through different phases in my artistic development and each one is a reference for my personal inclinations. I gather information from literature and from the great masters of universal and national art like Picasso, Wifredo Lam, Rene Portocarrero, Carlos Enriquez, Amelia Pelaez and the Mexican muralist painters Siqueiros and Orozco. When I paint I don’t think about the commercial aspect of my art, but I consider it a spiritual necessity to express elements of our culture, especially the aboriginal culture. Painting is my way of externalizing my emotions. Even if I were blind, my soul would continue to paint my vision. Exhibition, Primer Salon de Arte Erotico, “Aguas territoriales” Art Gallery,Casa de Cultura, Baracoa, Cuba, 2007. Exhibition, Arte Correo y Medio Ambiente, Salon Internacional de Pequeno Formato, Ramon Ruberia Center, Nueva Paz, Havana, Cuba, October 2006. Award, Salon Municipal de Instructores de Arte, “Aguas Territoriales” Art Gallery, Casa de Cultura, Baracoa, Cuba, June 2005. Personal exhibit, Motivos aborigenes, Museo Matachin, Baracoa, Cuba, Nay 2005. Our Cuban Collection featuring Caboverde, Lasseria, Ochoa, Rodriguez, Ferrer, Pavon, Pagan, Quiala, Pouyo, Yendi, Piedra, Sanchez, Aguilera, Reyes and more…. 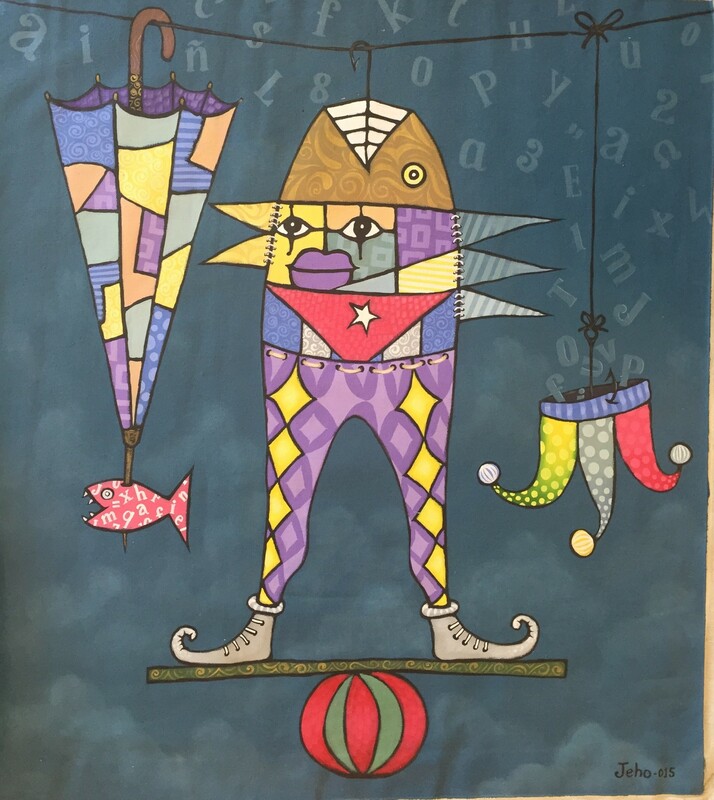 Our gallery is always a visual treat as we exhibit art from our Cuban collection, our many great Florida artists and the great artists like Alvar, Pino, Sam Park, Viktor Shvaiko and Charles Fazzino. Keith Martin Johns back after a 7 year hiatus from exhibiting. His Florida paintings have been widely collected in the Tampa Bay area and we are excited to have an amazing showing of new paintings and giclee prints on canvas. OPENING EVENING RECEPTION FRIDAY, MARCH 20TH, 6-9PM exhibition through May 1st. Rob Rowen owner of Nuance Galleries has been doing battlefield talks for 14 years. He has studied the American Civil War extensively and visited many of the battlefields. Antietam also known as Sharpsburg was a major battle fought in Maryland and called the first invasion of the north. Rob has been all over the battlefield three times and fell in love with its beauty and amazing history. He believes strongly that if history had been taught the way these talks are being given it would be a more incredible and successful educational experience. His other specialties are WWI and WWII Naval battles. We have invited several re-enactors to attend the talks. On September 17th 1862, Robert E. Lee began what would become a pivotal battle in the American Civil War. What started as the first invasion of the North as Maryland ended up being the 1st Union victory and the opportunity Lincoln was waiting for to release the Emancipation Proclamation, freeing the slaves in the Southern states. Known as the “bloodiest day in America’s history”, this also could have potentially been the end of the war. Each talk will focus on a particular part of the day and part of the battlefield and will be made up of actual tactics to give and understanding of the strategies deployed, but also stories that will bring to life the experience of the soldiers and civilians who were there. Throughout the month we will refight the battle with the figures moving every week to show the battle’s progression. Each Saturday we have invited local re-enactors and historians to share their passion for this battle as we retell the stories and strategies. Last year at the Gettysburg talks we had 50 to 60 attending the talks each Saturday. This is free to the public and the talks start at 12:15 pm each Saturday.